In an often chaotic and unpredictable world, we can trust an unchanging God. He is not susceptible to mood swings, addictions or bad behavior. In any situation He is trustworthy. In the midst of uncertainty, we crash into His stability and we are changed. 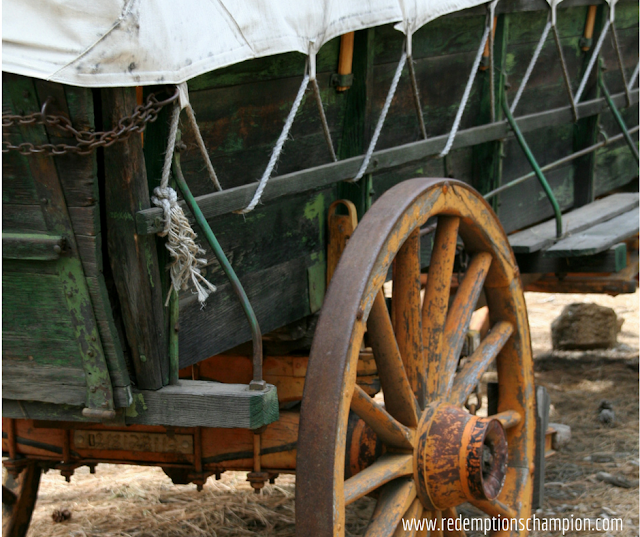 “Falling off the wagon,” is an idiom used to describe returning to a plethora of addictions or compulsions. It can happen to any of us in a host of areas, it is not reserved for just drugs and alcohol. I don’t know about you, but it is comforting for me to think that even when I fall off the wagon, He doesn't. We are prone to bad decisions, emotional outburst and even temper tantrums, but none of those affect His person, personality or behavior. He stays the same. How does it affect your heart to hear that in the midst of your chaos and uncertainty He remains completely stable and unchanging? It is meant to bring peace and foster relationship and trust. He is faithful because He cannot deny Himself. I know many looking for that type of stability, I’ve been there myself looking for security, safety in stability in all the wrong places, people or things. Do not be discouraged by what circumstance you find yourself in. He will do what He always does comfort, save, heal and deliver - it is who He is. Problems and conflicts will demand your attention and your solution, sometimes even demanding you “fall off the wagon” to cope with the problem of the moment, but I say, “Don’t!” Look to Him who does not “fall off the wagon” even when you do, He will catch you or pick you up off the floor and dust you off, clean you up and set you back up where you belong - in His faithful and loving arms.